July 16 is the Fiesta del Carmen, (Our Lady of Mount Carmel) which is celebrated in Santa Cruz and Puerto Tazacorte. 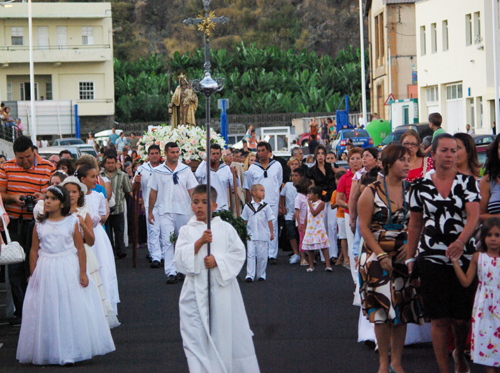 They have a special mass, and then they take the statue of the Virgin of Carmen out for a procession. So far, so much like most fiestas on the island. 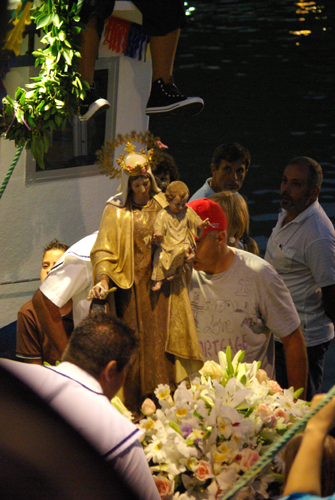 Only in this case, they take the statue of the virgin out on a boat parade, to bless the fishermen. These photos are fromPuerto Tazacorte. The boats go from the harbour, round to the bay just off the beach, where they sail in circles for a while before heading back to port. Then they have fireworks.